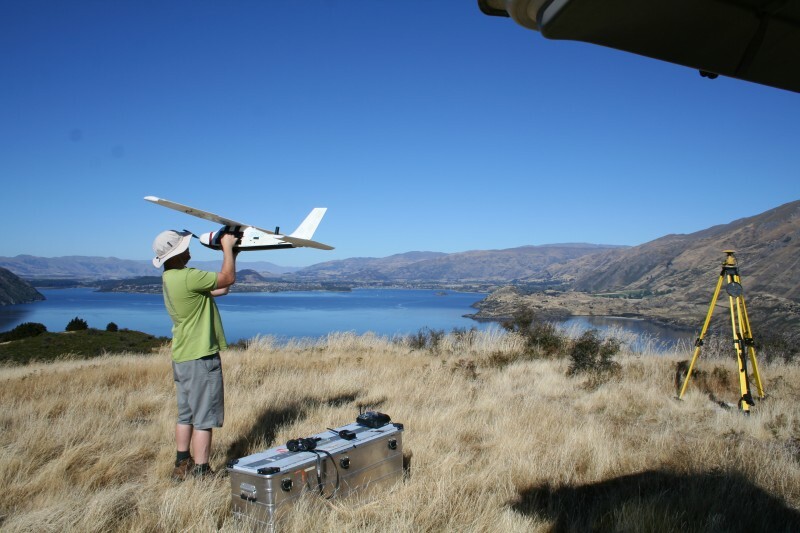 Overview Surveying specialises in Topographic/3D Surveying and Survey Accurate Aerial Photography using UAS systems. 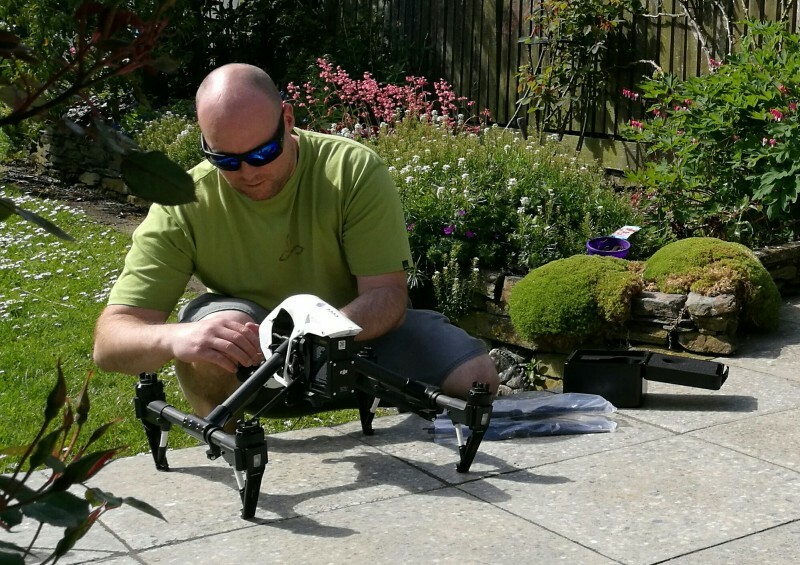 We are a fully qualified Surveyor run company that use a range of conventional and modern survey equipment, the most important being our German made MAVinci Sirius Pro Unmanned Aerial System with onboard RTK-GPS. We can be sub-contracted to supply data to other Surveyors and Consultants for further analysis, or we can use the data to produce almost any deliverable you require. Our clients can be assured that the quality of data supplied is of the highest standard - what you would expect from a survey professional. There is an ever increasing focus on improving health and safety wherever possible. 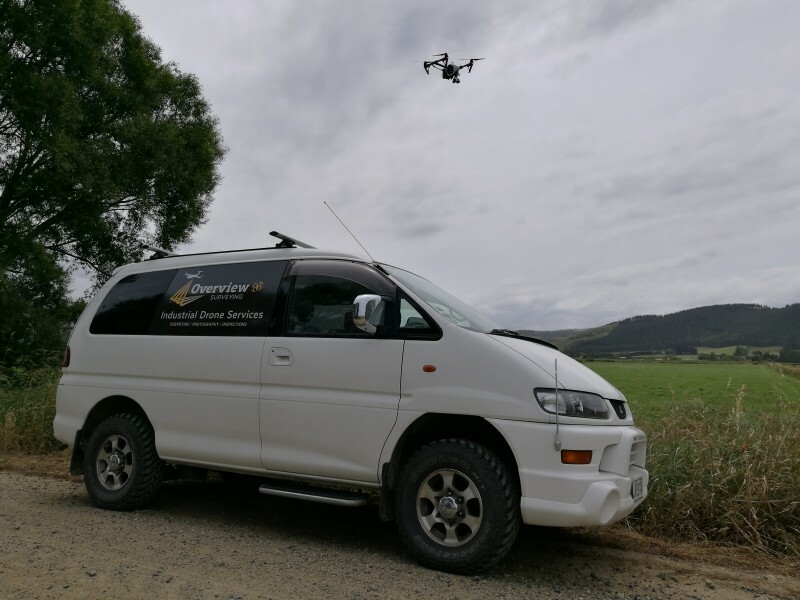 As companies look to achieve zero harm, Overview Surveying can help to eliminate the risk to Surveyors by completing the survey remotely from the air. Unstable, dangerous or inaccessible areas such as stockpiles, slips or flooded areas can be surveyed without the risks associated with having a person physically on site taking measurements and collecting data. 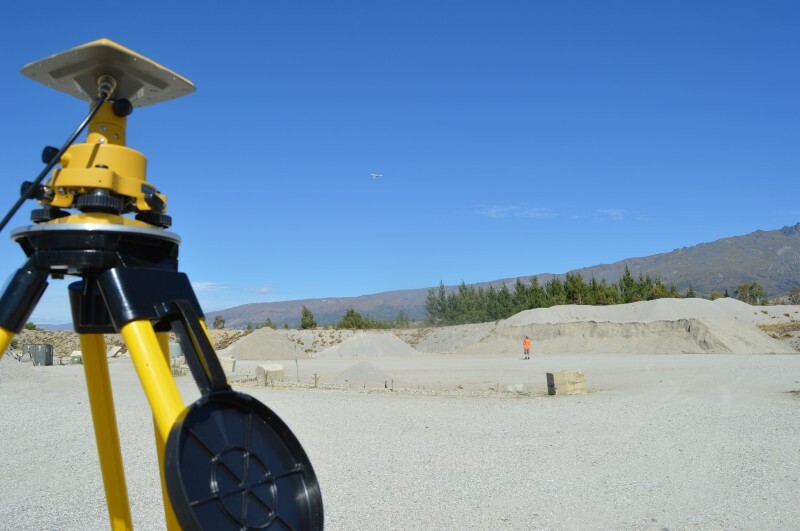 Aerial surveying is especially advantageous for mines, quarries and earthworks sites, improving safety by physically keeping Surveyors away from operating equipment and avoiding costly delays while work is disrupted to allow surveying work to be completed. On roading construction sites, we can eliminate the need for time consuming traffic management. Traffic managment plans can involve limiting the number of traffic lanes in use, enforcing speed restrictions, and the inherent danger of having Surveyors working on busy roads. Our UAV is lauched by hand and is not dependent on catapault launching systems which utilise stored potential energy. This stored potential energy can be a concern in particular industries such as operational mines. Additionally, with operator controlled, manually steered landings, we have flexibility when it comes to where we can operate from - and this also allows us to manually avoid unexpected hazards and adapt to changing conditions. 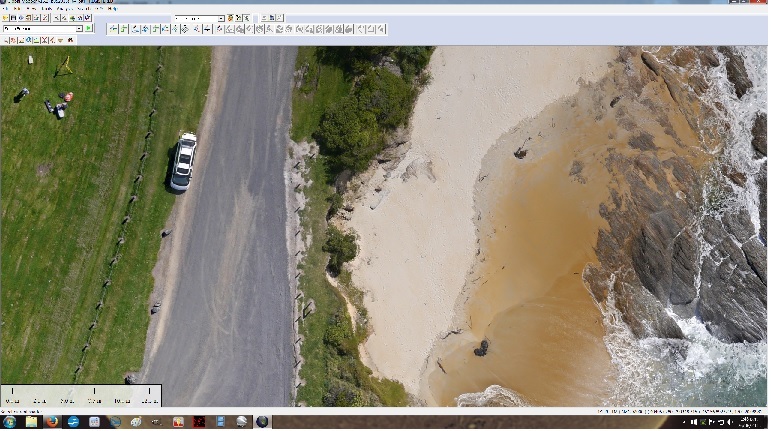 UAV Surveying works via photogrammetry - the Unmanned Aerial Vehicle (UAV) is flown in a set pattern above the area to be surveyed. 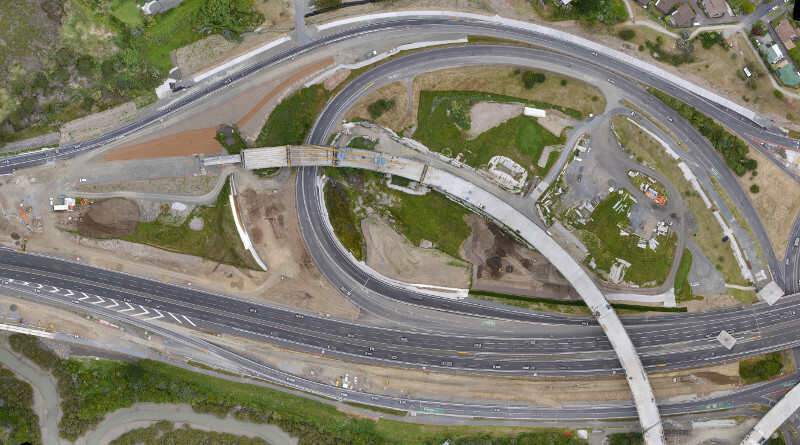 As the UAV flies, the onboard camera takes a very large number of overlapping photographs. 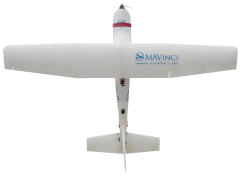 Our MAVinci Sirius Pro UAV, with onboard surveying grade RTK-GPS, also precisely measures the position from which the photographs are taken from during the flight. This data is then uploaded to our custom built, high performance computer using specialist software to be processed. 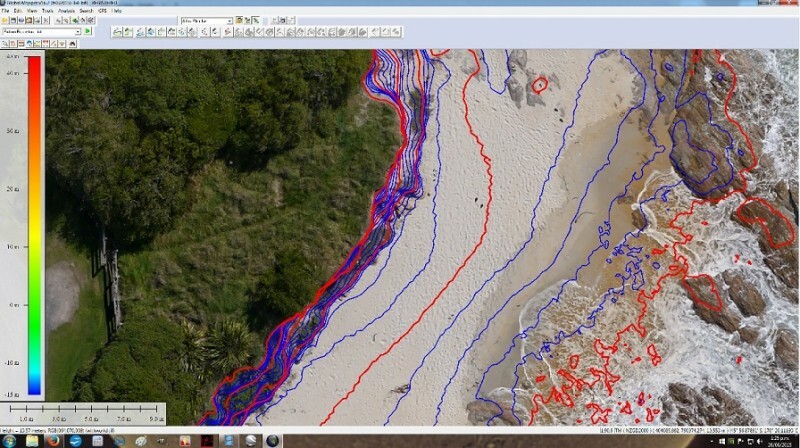 A single geo-referenced to-scale aerial image is generated as well as a carpet of 3D survey points over the surface of the area being surveyed. Survey accurate measurements can be taken from the resulting image and point data. We have invested in the software and a considerable amount of computing power to enable us to process our own data. We are in full control of the output quality and there is a fast turnaround (depending on the size of the site). Based on the required outputs, for a single flight job, we could have your data ready within 24 hours of flying the area of interest. 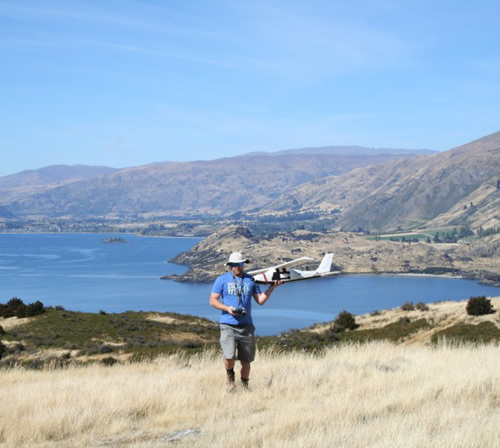 If we are surveying a very small area with no suitable landing point for our fixed wing UAV, or are surveying a vertical feature like a cliff, we would use a multi-rotor UAV to complete the job. Unlike the Sirius Pro, this work requires control marks to painted throughout the site and the position of each control mark must be measured with surveying grade GPS or conventional surveying instruments. This system differs from other unmanned aerial vehicle (UAV) systems. 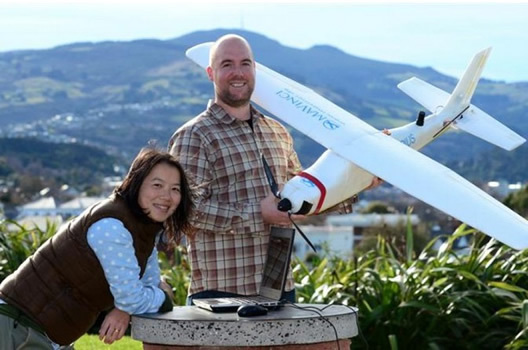 Our MAVinci fixed wing UAV has onboard RTK (surveying grade) GPS, eliminating the need for ground control points - improving overall accuracy and significantly reducing the time taken to complete a survey. 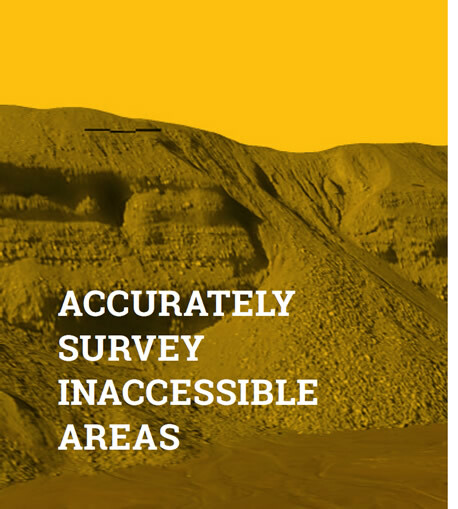 Additionally, this allows for no loss of accuracy when ground control points cannot be measured, such as when surveying inaccessible or difficult to access areas such as slips, operational mines or earthworks sites. 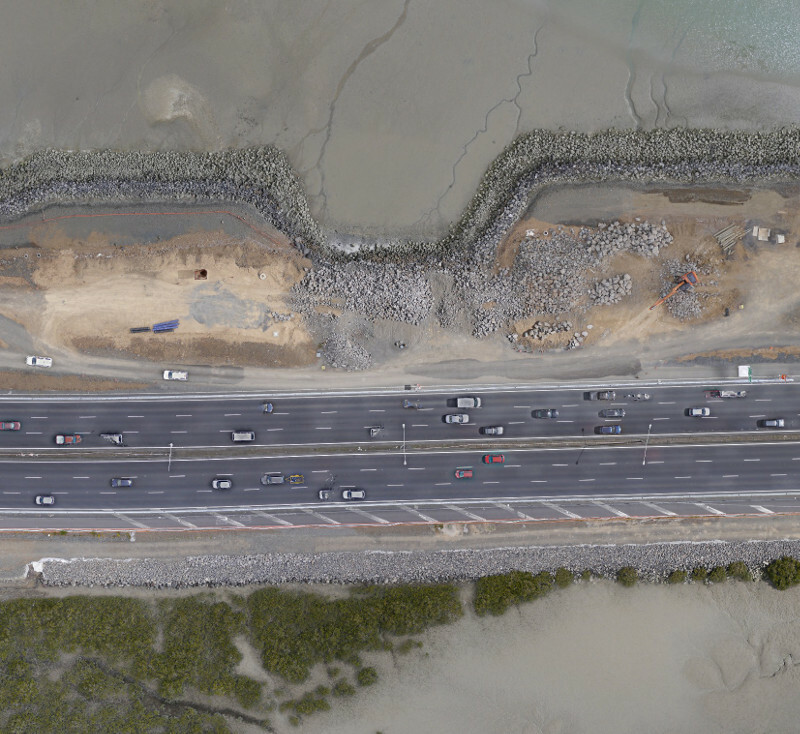 The advantages of such technology are that our system is faster and more cost effective than traditional aerial photography, standard surveying and even other available UAV systems. What are Ground Control Points (GCPs) and how can we get away with not using them? GCPs are marks that are manually placed or painted on the ground and measured. These marks are visible in the aerial photographs and are used to locate and orientate the final stitched photographic mosaic and surface model. All UAVs without a precise positioning system onboard require the placement of these control points throughout the area to be surveyed, which determine the accuracy of the final product. Generally, the more GCPs, the greater the accuracy. 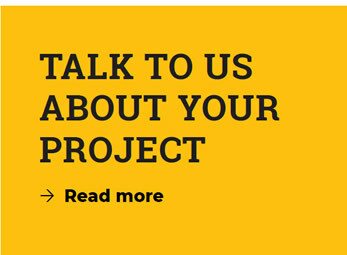 This task can take up a significant amount of time as well as adding to the cost of your project. The Sirius Pro, with onboard L1/L2 GPS/GLONASS RTK does not require any GCPs to be placed. The location of every photo taken is precisely measured in real time and these act as hundreds of uniformly placed control points in the air. 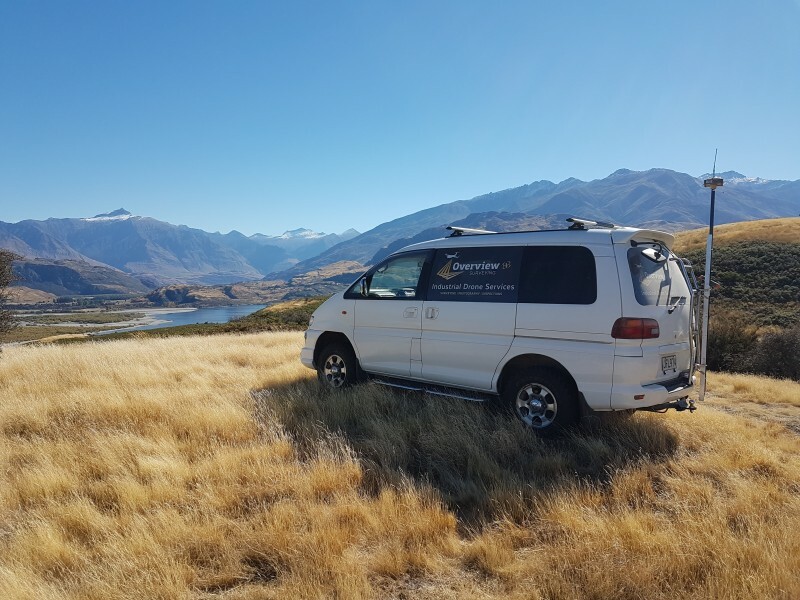 As part of our quality assurance process, we will further verify the accuracy of the data collected by measuring check shots with an independent GNSS system. 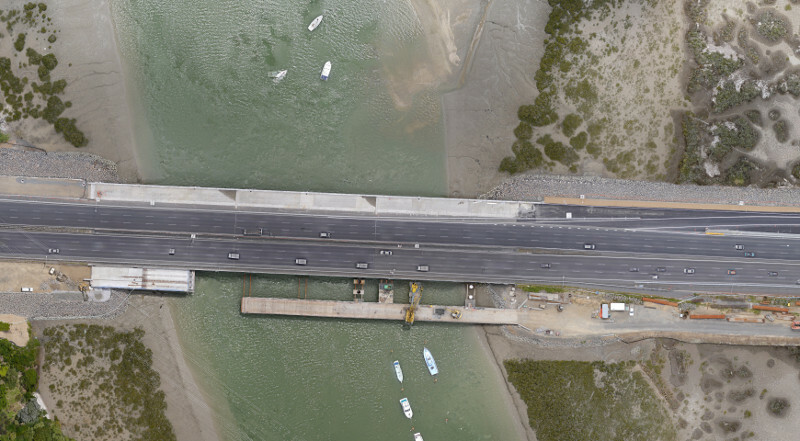 UAVs are a powerful new Surveying tool. 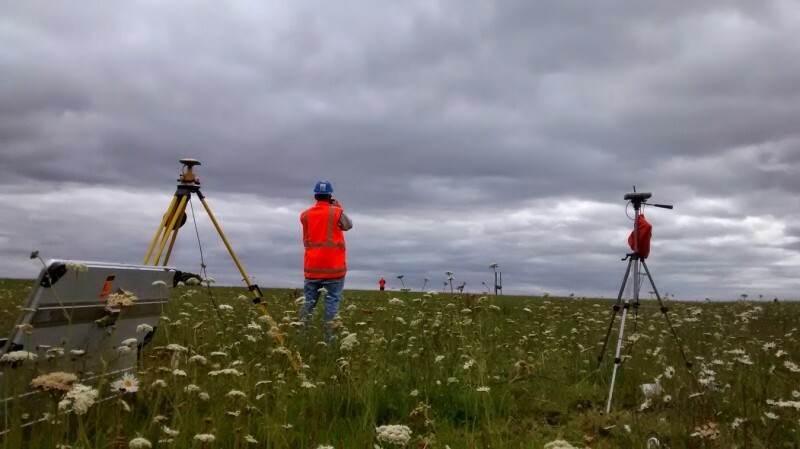 In the hands of a qualified Surveyor they can accurately survey and photograph large areas much faster and more comprehensively than ever before. 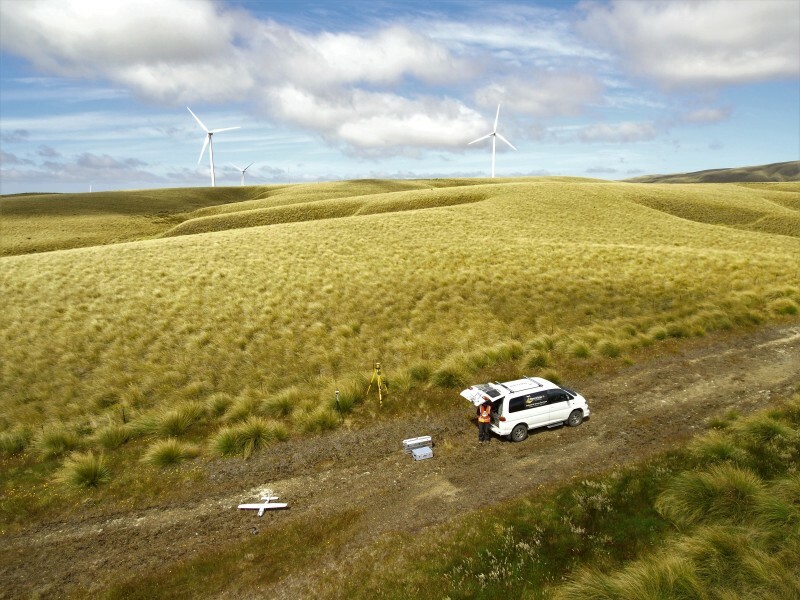 To complement and enhance the UAV data, Overview Surveying can also employ a range of other surveying instruments including Laser Scanners, RTK GPS and Total Stations to capture any spatial data you need as accurately as you require. 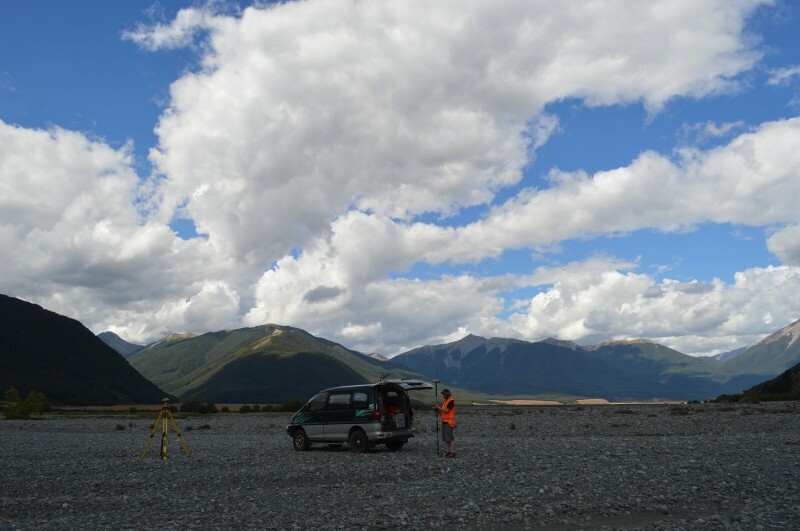 "I've enjoyed having such a current geo-referenced image set - very handy when it comes to making some work decisions. 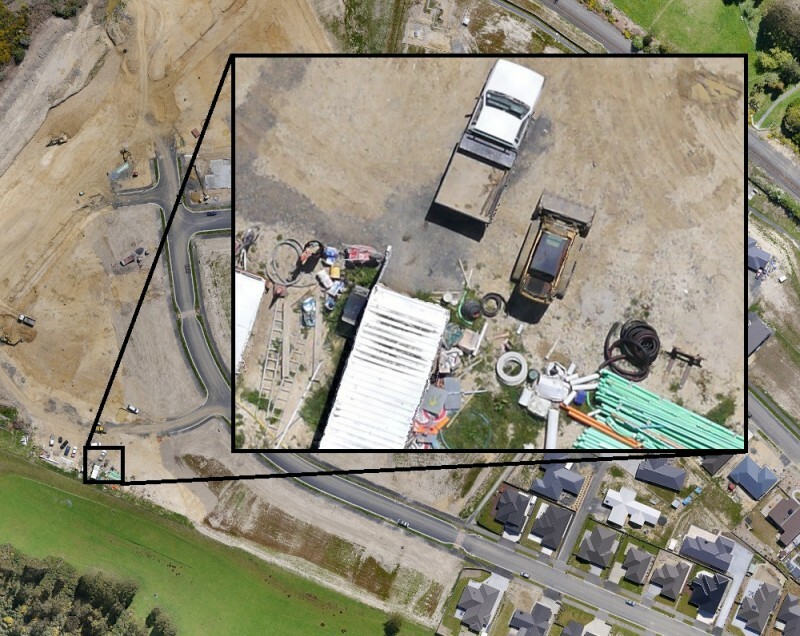 I've done one or two surface level comparisons around the site and found this data set more than good enough for its orginal intention of earthworks' volume audits." 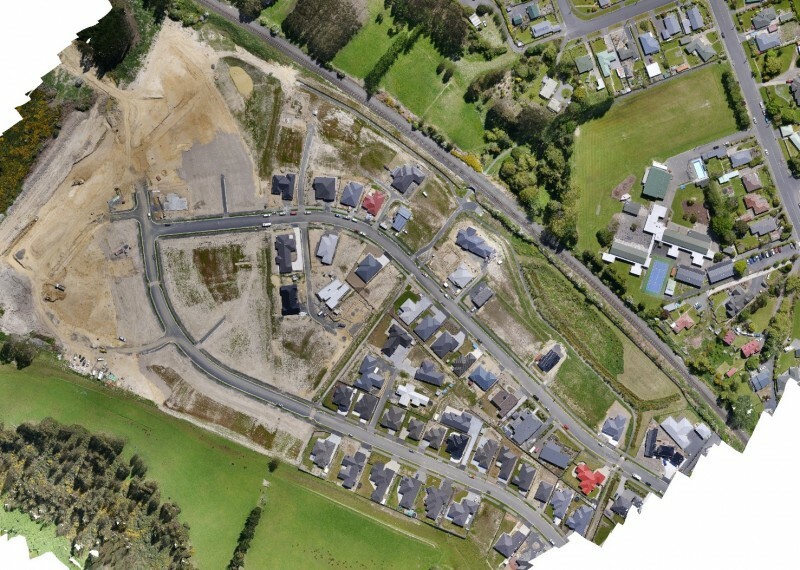 "It's a very useful tool for the resource consent process and has applicability in a number of cases where high resolution, up-to-date aerial views are desirable in describing the current use of the land for new development - and showing compliance with conditions of consent where renewal of consents is needed." A number of details can be manipulated at this stage, such as the altitude of the flight (which determines photo resolution and ultimately the accuracy of the final output) and the orientation of the flight plan (to take in to consideration prevailing wind direction or terrain features). The flight plan is then tailored to the terrain. If the job is very large it may be broken down into multiple flights to allow for battery changes and for the pilot to reposition to allow for line of sight flying. 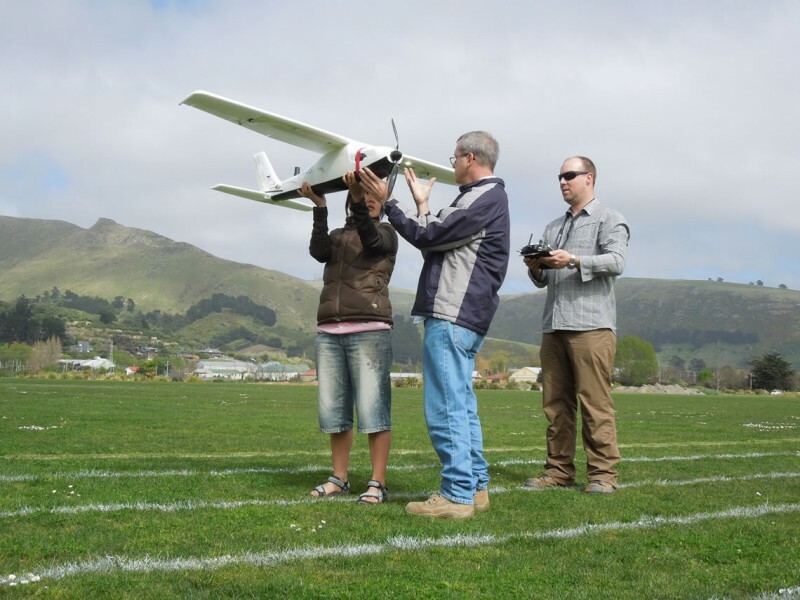 Once on site, the flight plan is reviewed and after checking for hazards and assessing the actual wind conditions (the flight plan can be updated if necessary), it is then uploaded to the UAV. Numerous overlapping images are captured and GPS positions are logged of where each image was taken from. 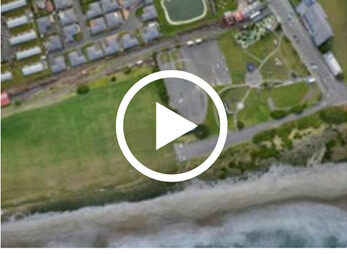 The flight is monitored by the UAV pilot and should the unexpected occur (such as a helicopter/plane entering the area) the UAV pilot can switch to assisted manual mode and steer the UAV away from danger and land if necessary. If this occurs, the re-launched UAV automatically resumes it’s flight path from where it was interrupted. 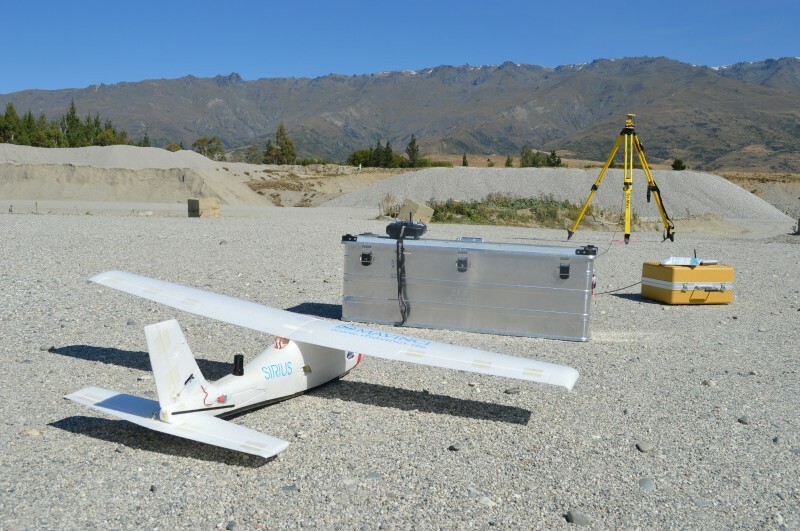 Once the flight has been completed, the UAV is landed and the data is downloaded. 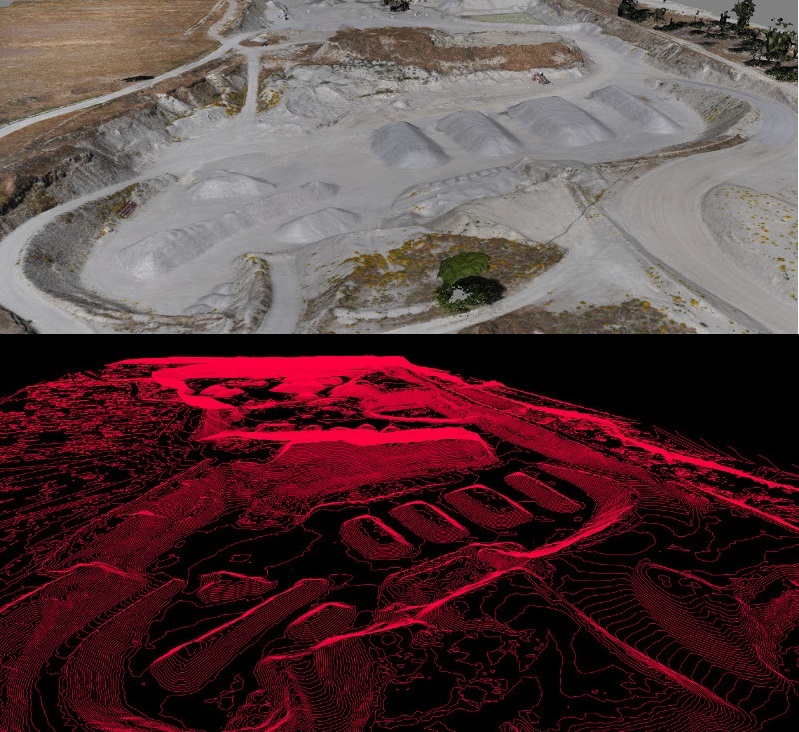 Depending on the clients requirements a full 3D point cloud of the entire area can also be generated. 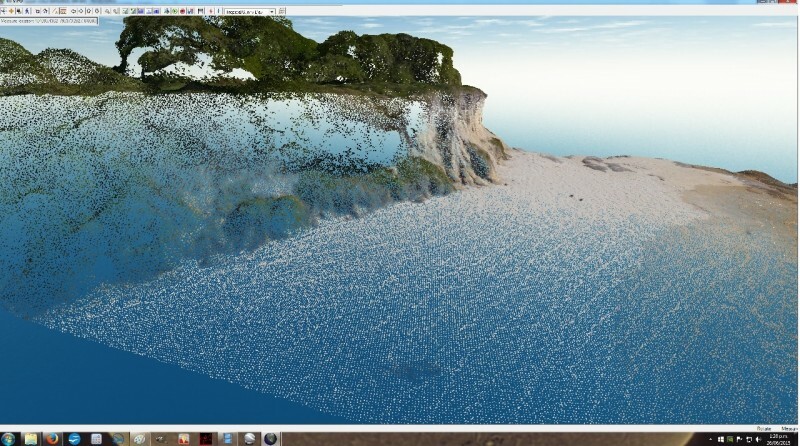 This point cloud can then be used to generate digital surfaces in almost any format. The aerial image can also be draped over the surface. If required the data can be refined further to include only ground points. 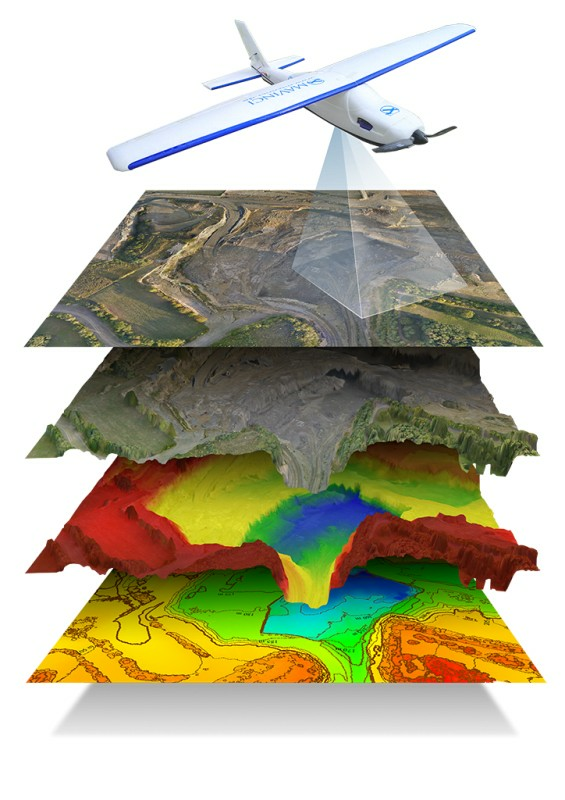 Contour models of the ground can be generated and topographical features can be extracted as required. 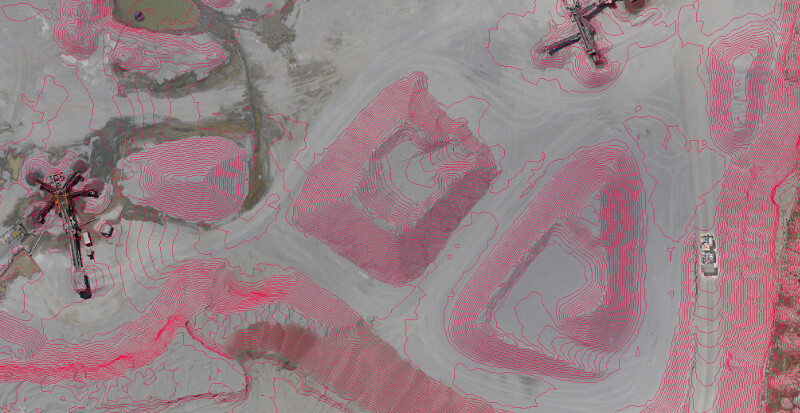 At this time, volume analysis of stockpiles or terrain features can be calculated. 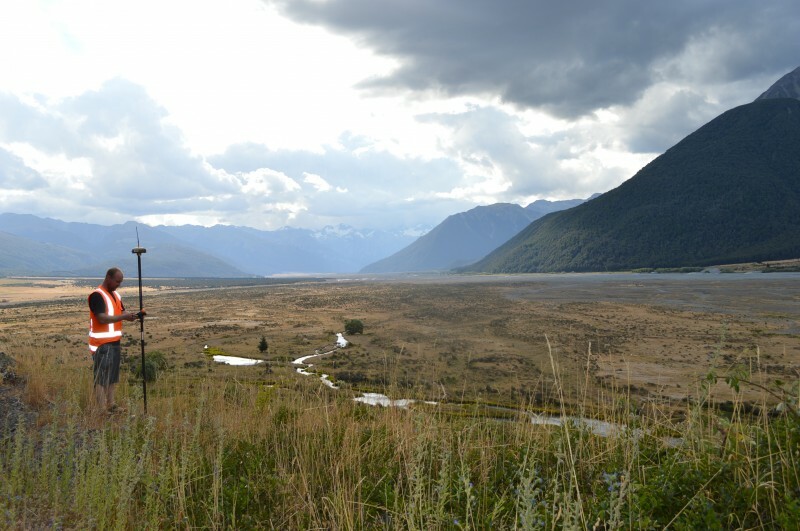 Jared graduated with a Bachelor of Surveying from the University of Otago in 2001. 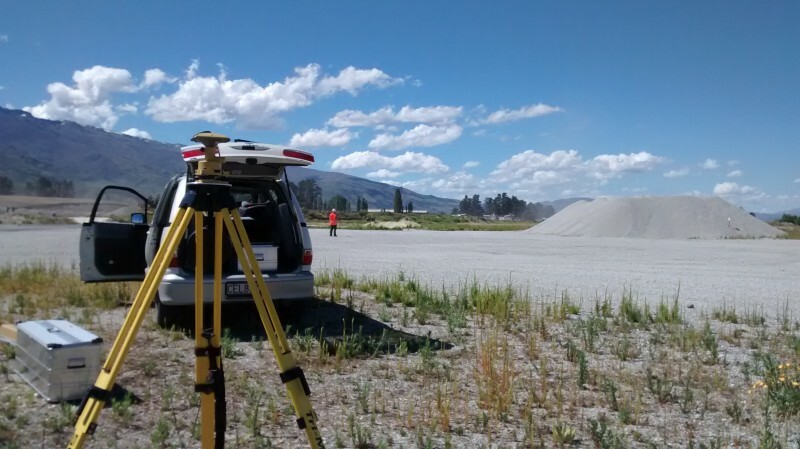 Since then, he has worked in both Wellington and Dunedin for Survey Consultancies involved in a wide range of Cadastral, Topographical and Engineering Surveying. Most recently, he has been employed by a major construction firm specialising in roading and civil engineering surveying. 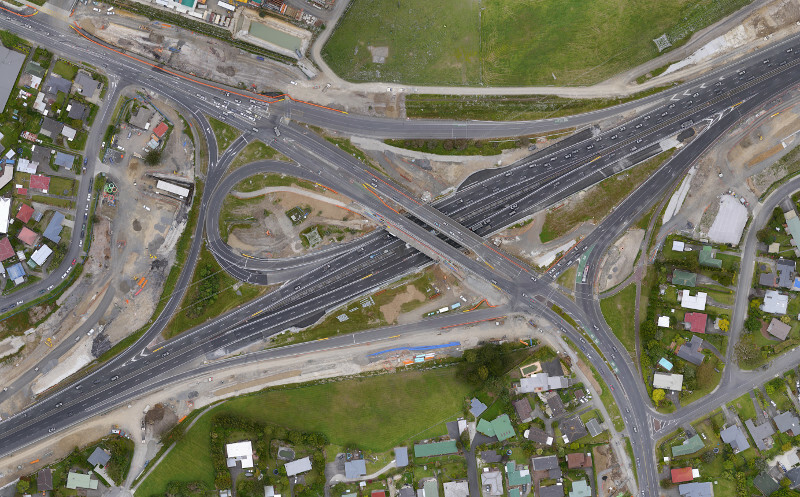 He is also an Associate Member of the New Zealand Institute of Surveyors. 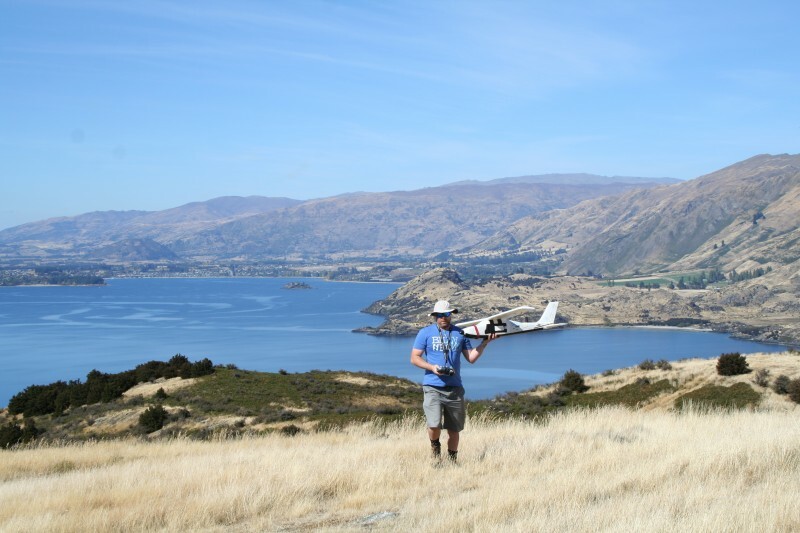 Jared sees aerial UAV surveying and scanning becoming an important sub-discipline of Surveying and intends to be a specialist in the use of current and emerging spatial data acquisition technology. 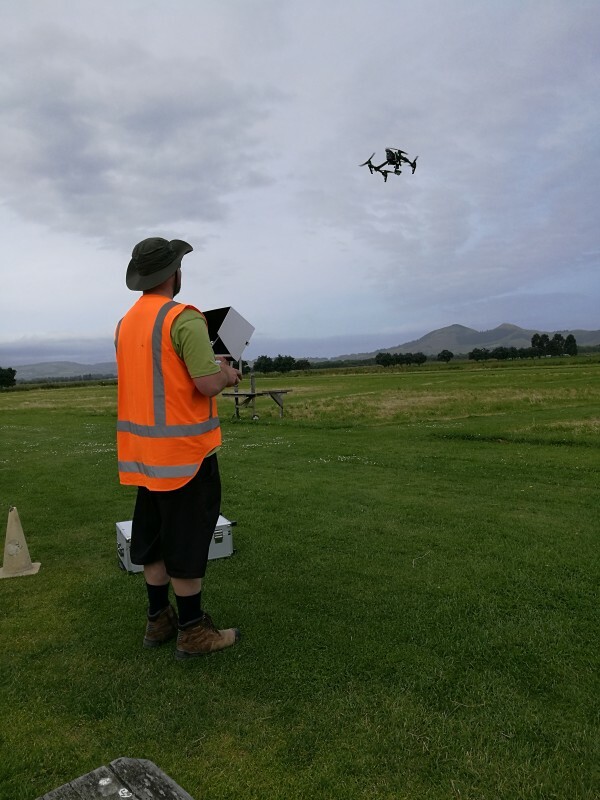 As part of his training to become UAV operator and pilot, Jared obtained his MFNZ Wings badge, FRTO licence and has completed a CAA endorsed RPAS course. Siem graduated with a Bachelor of Science from the University of Otago, a Diploma of Teaching from the Wellington College of Education and also studied at the Otago Institute of Sport and Adventure . Her experience includes working on the Landonline project and teaching English and skiing in Japan and Canada. She is now a UAV co-pilot and survey assistant. 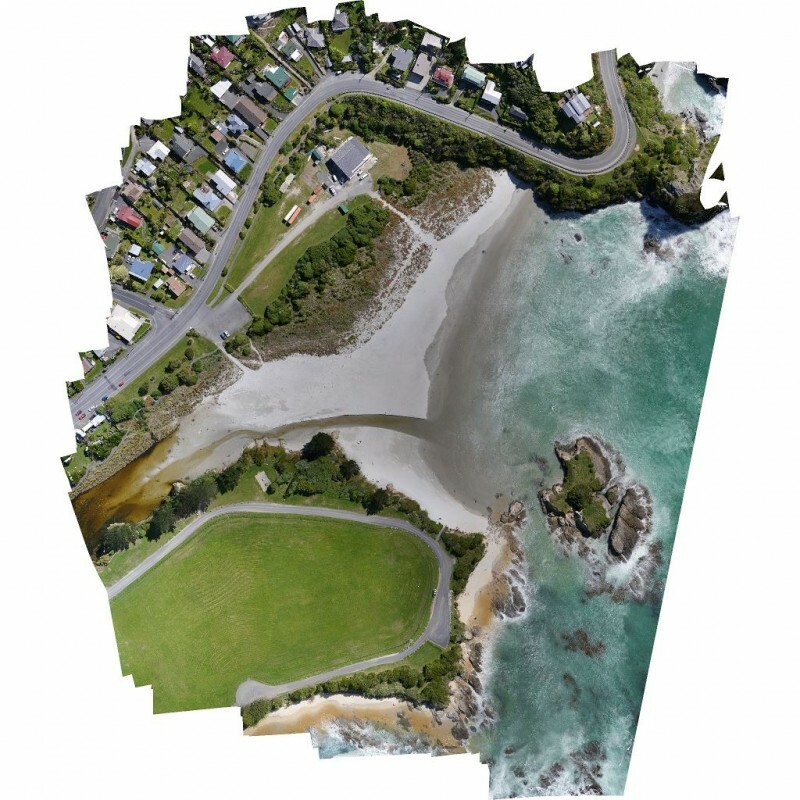 We also have access to a range of other tools enabling us to capture almost any spatial data or aerial imaging you could need. 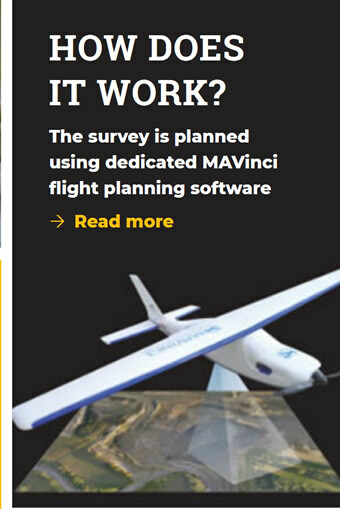 Intel acquires MAVinci - read about how MAVinci's mission planning software is "Best In Class"